"The beauty of woman . . . the demon of darkness . . . the unholy union of"
The Devil Rides Out is a 1968 horror film made in Britain. It is also known as The Devil’s Bride. The movie is based on a 1934 novel. Tenrence Fisher directed the movie and Christopher Lee, the king of British horror movies, stars in the leading role. The story is set in London and southern England in 1929. The main character Nicholas Duc de Richleau is investigating the strange circumstances that surround the son of one of his friends. He quickly finds out the son Simon is involved with the Occult. The 1960s counterculture in Britain was intrigued with the Occult. 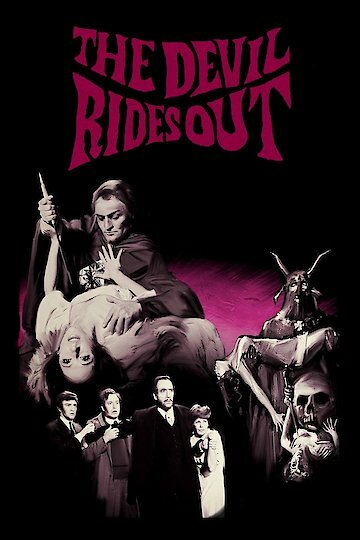 The Devil Rides Out is a classic British horror movie.